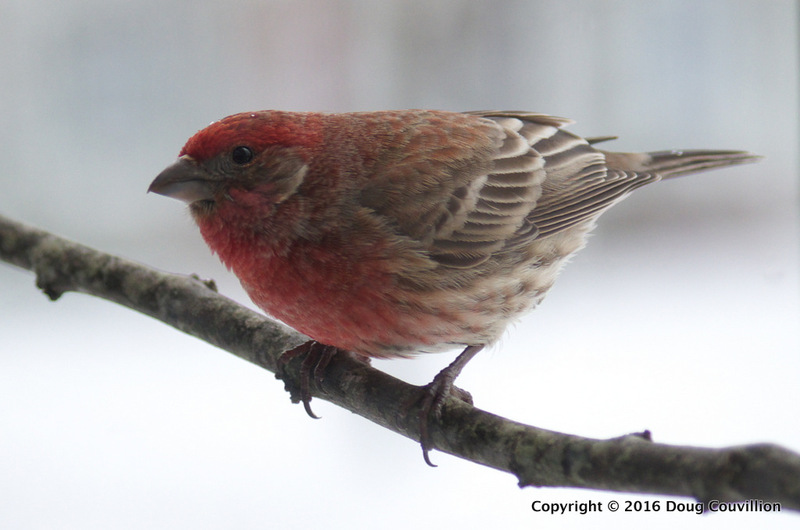 Another male House Finch from the snow we had last week. This weekend we had spring-like temperatures making it hard to believe I took this photo only about a week ago. 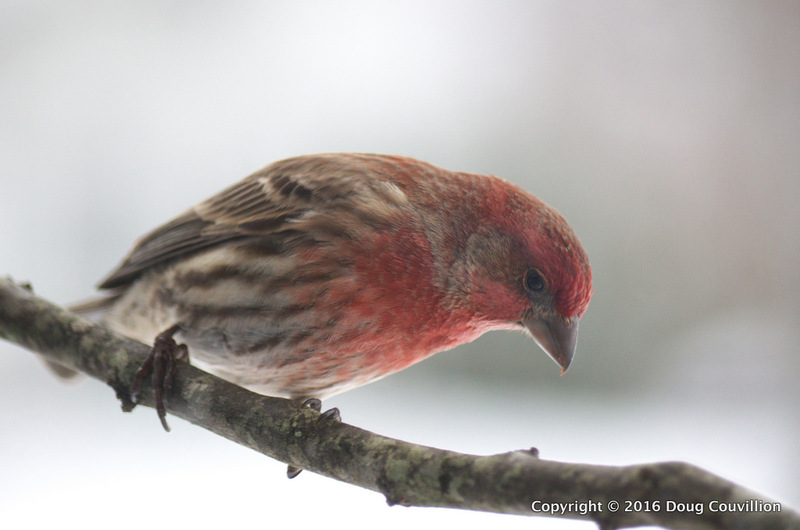 This male House Finch made for a colorful subject with the snowy white background.